Meet the way you teach and the way your students learn with various pathways into the content for all levels and types of learners. Built around the Understanding by Design® framework, this program uses Essential Questions to stimulate conversation, emphasize source analysis and hands-on learning. 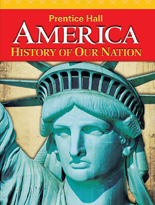 America: History of Our Nation helps students achieve an Enduring Understanding of America’s past and why it remains important to us today. 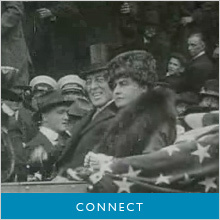 With America: History of Our Nation, students have options at each stage of instruction to read about new concepts and content, engage in hands-on activities, and explore history through dynamic, interactive technology that bring the people, sights, and sounds of American history to life. Students have a variety of assessment task options that require them to transfer their knowledge. 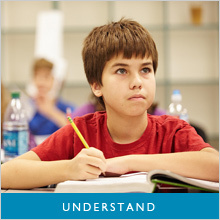 When they can successfully apply lesson content, they have achieved Enduring Understanding of the content. 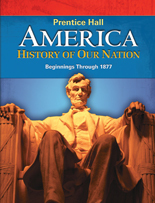 America: History of Our Nation provides many opportunities for students to demonstrate what they've learned so you can assess for success!